Essex-born radio amateur Dave Rowntree M6DRQ was interviewed on Channel 5 TV news about the Beagle 2 Mars mission. Dave, formerly drummer in the band Blur, is currently a DJ on London radio station XFM 104.9 MHz. 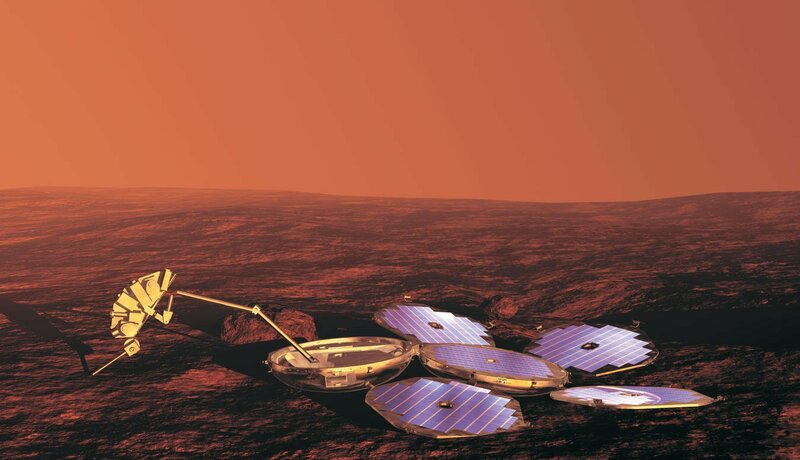 On December 25, 2003 the pioneering UK spacecraft Beagle 2, developed by a team led by Professor Colin Pillinger, landed on Mars, however, communications with it could not be established. This meant it was not known if the landing had been successful or where on the planet it was. On July 30, 2004 Professor Pillinger gave a presentation about Beagle 2 to the AMSAT-UK International Space Colloquium in Guildford, he received a standing ovation from the audience. On January 15, 2015 it was announced that Beagle 2 had been located in images taken of Mars. These confirmed it had made a successful soft landing on the planet. Sadly Professor Pillinger had passed away a few months earlier on May 7, 2014.